Can you guess how quickly the average person judges a website? 10 seconds… 30 seconds… 1 minute perhaps? Nope. Users evaluate a website in .05 seconds flat — essentially the blink of an eye. A users’ first impression of a website relies heavily on web design, or the look and feel of the site. Good web design will engage your site’s visitors, inspiring them to purchase a product, sign up for a service, or fill out a contact form. At TDR, we know a thing or two about engaging and inspiring web design; in fact, we’ve won 17 awards (and counting!) for our web design work. In the spirit of good web design, and in honor of the new year, we’re counting down just a few of the websites that we designed this past year. Read on to see why they’re some of our favorites. Kicking off our list of favorites is a site that we designed this past spring for none other than Findorff: one of the Midwest’s foremost and trusted builders. 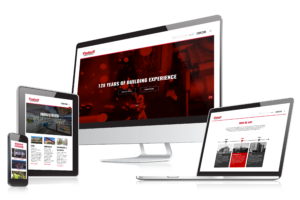 Findorff approached TDR with a request to deliver a new website that mirrored the builder’s precision, elegance, and modern approach. In response, we designed a site that met their criteria and pushed the envelope while paying homage to the builder’s long, illustrious history. Next on our list is another well-known player in the Madison community: the Henry Vilas Zoo. Being animal lovers, we were thrilled when the HVZ team came knocking on our door (metaphorically of course — they sent us an email). 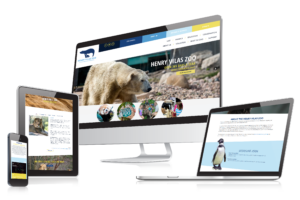 They wanted a fun, vibrant site that captured the spirit of the zoo while also providing educational and informational tools and resources to visitors. We had a “roaring” good time designing and developing this site; as an added bonus, we all learned a few fun animal facts along the way. Last year, Pres House Church recognized a need for an organization that would create community for young, post-grad adults living in the Madison area. So, they launched said organization and called it GatherX. A partner of The Digital Ring since 2017, Pres House turned to TDR to design and build the GatherX site, which they wanted to generate excitement around the new organization, as well as feel warm and welcoming. Near the end of the year, we teamed up with Madison-based tech company Paradigm to help them design a website that would showcase their suite of products, engage site visitors, and boost conversion. 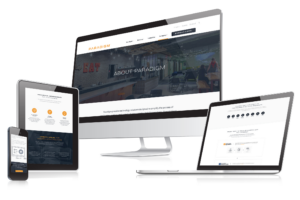 The resulting site is brimming with eye-catching interactive elements, videos, graphics, and images that work together to explain Paradigm’s solutions and entice visitors to learn more. While Paradigm adopts a straightforward, no-nonsense tone throughout the majority of the site, they let their witty personality shine through on the Careers page (a personal favorite). Last on our list is Imperial Blades: a Sun Prairie-based manufacturer of oscillating and reciprocating blades. Imperial Blades needed a website that would let them show off their breadth of tools while keeping user experience top of mind. 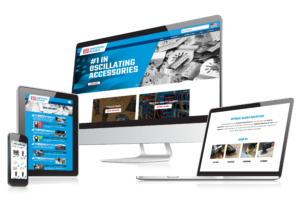 So, we designed and built them a clean, modern site equipped with a product filter feature that allows site visitor to easily navigate Imperial Blades’ wide assortment. On top of that, we gave the site a graphic, almost industrial feel that mirrors Imperial Blades products and pays homage to their industry. 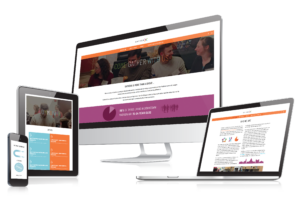 Interested in seeing more of our web design work? Click here and filter to “Development” to see all the clients we’ve done web design and development work for. And — if you’ve been on the hunt for a talented web design company, we bet we know somebody who can help you out. Get in touch to learn more about our award-winning web design services.